Dubuque Presentation Associate Barbara Ressler just published a book about Nano Nagle. It is now available in paperback, hardcover and e-book formats. Barbara, a high school teacher, wanted to write a book that can be read easily and would interest her students. She says the book can be read in one or two hours and covers Nano’s live from age 13 to her death. 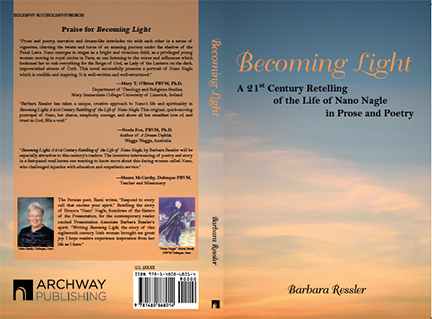 You can order a copy of Barbara’s book at Archway Publishing.